Hello Lovelies, Today I'm using a new laptop so i'm sorry if this post is a bit off as i'm not used to this windows 8 and touch screen but ohh well we will try our best. 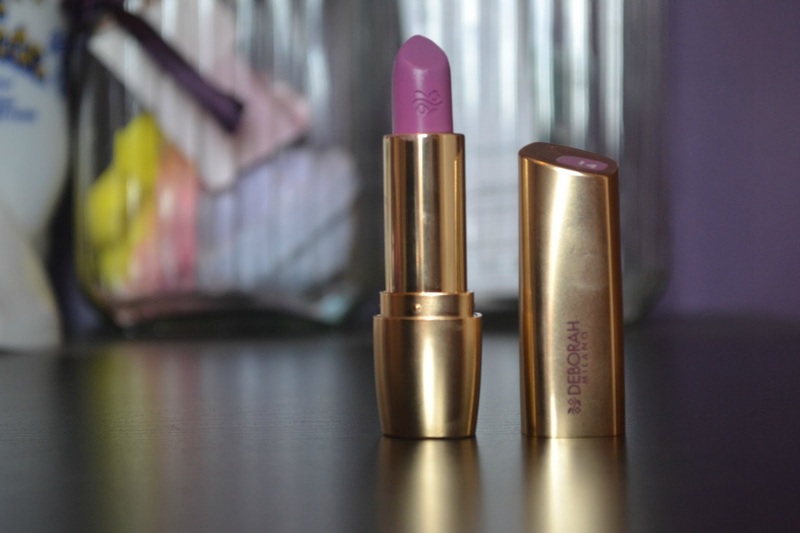 Todays post is on the Deborah Milano Rosseto Milano Red Lipstick in number 14* This lipstick isn't just any lipstick its a purple lipstick and as you all know I love purple I love how purple looks with my skin tone and i'm actually getting my hair died purple at the hair dressers tomorrow. Deborah Milano say- "Infused with real Ruby Powder for luscious, full colour. Formulated with Hyaluronic Acid for up to 10 hours** of supreme comfort and hydration. Hypoallergenic*. SPF 15"
First of the packaging of this lipstick is quite nice it looks expensive and stands out against my mac lipsticks that are in my own collection. Its quite a light lipstick and has nice really dark purple righting on the side. Both the top and the bottom have the colour of the lipstick on so however you store you lipsticks you will be able to tell what colour this one is. 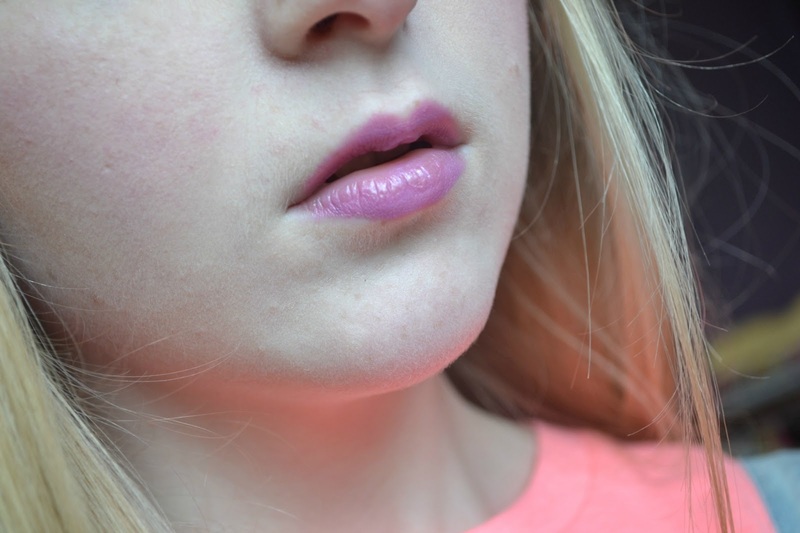 The lipstick its self is very nice its smooth and smells amazing (it smells like palma violets!!!) It applys really nice to the lips and feels really soft. The colour I was sent is perfect for me as its like a purple lilac colour which I love, think this lipstick colour might be my new favourite. This lipstick lasts about 4 hours on the lips which is grate as you could go out shopping without taking your lipstick with you. But if you are going out and having something to drink or eat defiantly take the lipstick with you as it will not stay on even with a little drink of water. 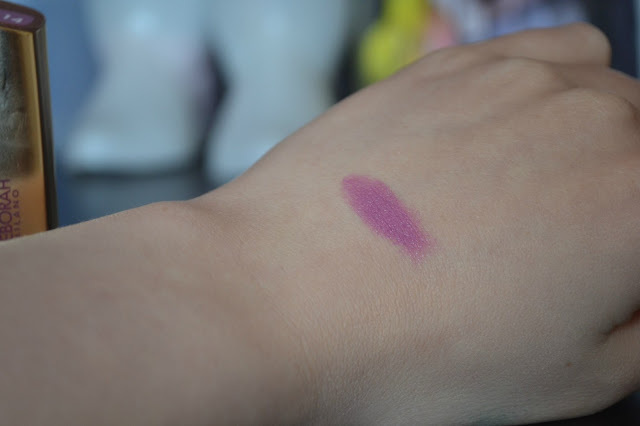 Its very pigmented and looks the same colour in the tube as on the lips. 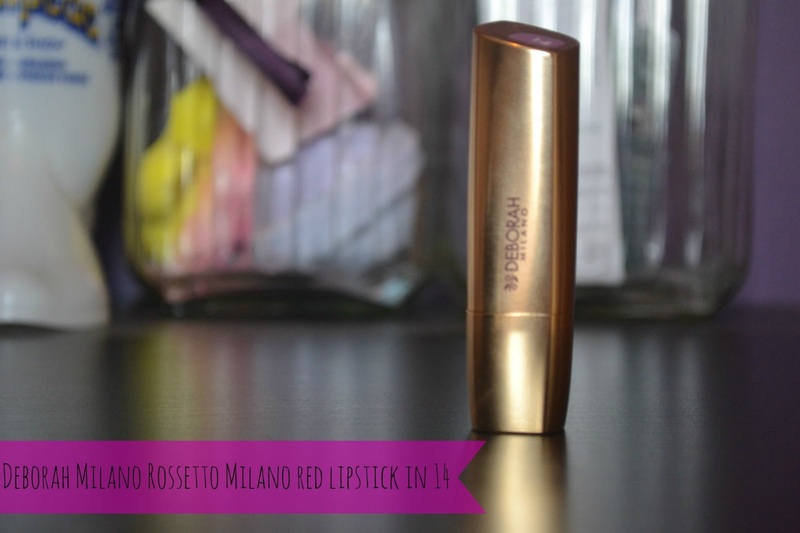 There is 14 different colours in the Rasseto Milano red range of lipstick. its quite a good colour range but maybe they colour branch out and make a few more colours. I still think I like my mac lipsticks a little better but I really love the colour and texture of this Deborah Milano lipstick so will be using it quite a lot. 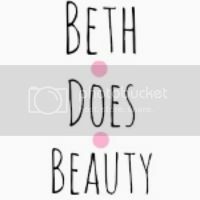 have you tried anything from Deborah Milano? I love this lipstick, I just reviewed one I love how luxury they feel without being really expensive! I adore the purple shade. I love that it's like, a barely there purple. So perfect! can you do a best foundation and your shade post please?